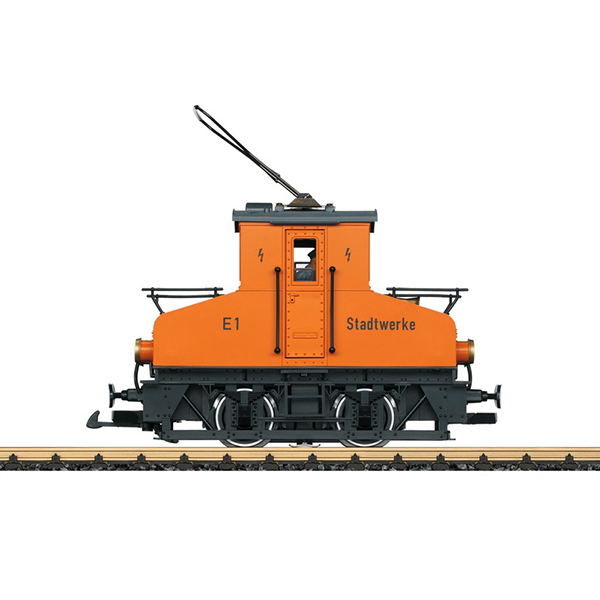 Product: This is a model of a small electric locomotive as was used up to Era IV on many streetcar lines as a freight and switch engine. The locomotive has a suitable paint and lettering scheme. Both wheel sets are driven by a powerful Bühler motor with ball bearings. The locomotive has an mfx/DCC sound decoder with many light and sound functions. The harp-shaped pantograph can be raised and lowered but is not wired to take power from catenary. The cab doors can be opened. Length over the buffers 25 cm / 9-7/8". Decoder and sound included for the first time. The 45306 open platform car is available to go with this locomotive.